Nothing kills the high of 3D printing a cool model quite like having to sit down and pry off support materials. Maybe I’m wrong – maybe there are some who enjoy the slow process of watching a full model emerge from support material once it’s been removed from the print bed, but I personally would rather not have to deal with the hassle. Luckily, less than a year after releasing its Slic3r Prusa Edition software, Prusa just introduced the latest update for it, which includes improving the 3D printing of water soluble supports. 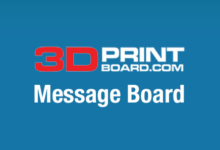 While Version 1.33.3 introduced Smooth Variable Layer Height and 1.35.3 featured a better 3D scene manipulation, the latest update, 1.36.2, allows the Prusa i3 MK2 Multi-Material printer to use soluble interface support material only on interface layers, which will help users save on the cost of the expensive material. By using water soluble material everywhere, the supported side of your model will have a much better surface finish, but objects that need a lot of supports make this technique costly. The optimal thing to do is use water soluble material only on the support interface layers – the majority of the support structure is 3D printed with a typical inexpensive material, but your model will feature the same great surface quality you’d get when using full soluble supports. However, Průša notes that this method can’t be used with objects that have “supported inaccessible internal geometries,” because insoluble parts of the support would be trapped. Just as you would for the water soluble material everywhere method, you should use extruder 4 and Normal Soluble Interface print settings for this technique as well. “Always store the water soluble materials in a sealed bag with some desiccant,” Průša said as a reminder. Most of the soluble support materials Prusa worked with while testing out the various water soluble printing techniques were stringy, and sometimes even jammed the multiplexer. But they happened to discover two materials that work very well with the Multi Material upgrade: BVOH from Verbatim and PVA from Primaselect, both of which are available in Prusa’s e-shop. In comparison to PVA, Verbatim’s BVOH, which was introduced earlier this summer, does not produce quite as much stringing. It’s easy to use – just print with PLA settings – and does not absorb as much air humidity as PVA material does. Additionally, those who don’t like to dunk their models in water to dissolve support materials will enjoy that, most of the time, BVOH makes it possible to cleanly break the supports off. You can download the latest 1.8.0 drivers with Slic3r PE 1.36.2 here. Discuss in the Prusa forum at 3DPB.com.